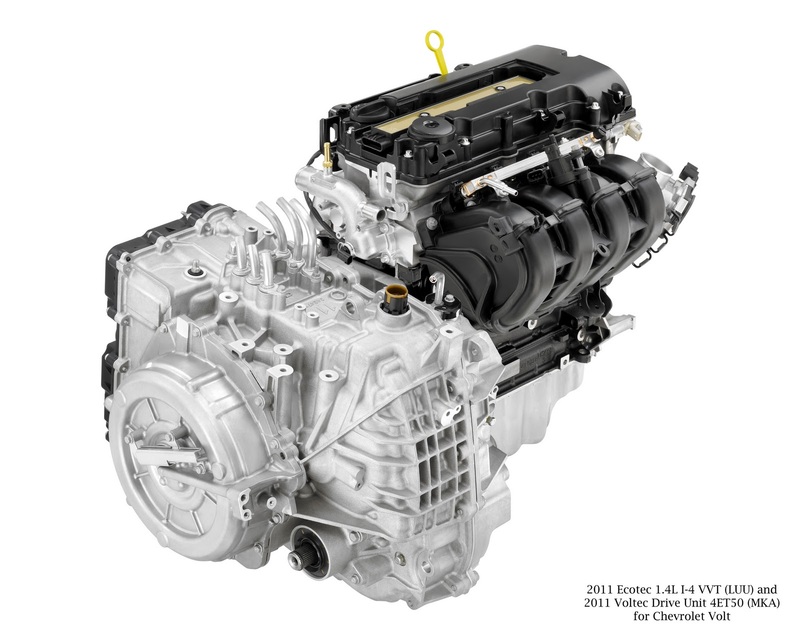 The propulsion system on the 2011 Chevrolet Volt, the industry's only electric vehicle with extended-range capability, is among the winners of the automotive industry's "10 Best Engines" for 2011 in North America as determined by Ward's AutoWorld magazine. Ward's editors use several criteria for selecting their annual "10 Best Engines" winners, including noise, vibration and harshness (NVH), fuel efficiency, new technology and comparative data for similar systems. "Brave. Inspired. Brilliant," said Drew Winter, Editor-in-Chief, Ward's AutoWorld. "We don't often use these words in the same sentence as 'propulsion system,' but that's the only way to describe the magic under the hood of the Chevy Volt. General Motors engineers have changed the course of history by creating an electric vehicle with true mass appeal." The heart of the Volt is its Voltec propulsion system, which combines pure electric drive and an efficient, range-extending engine, giving to the Volt up to 379 total miles of driving before charging or filling up. "The recognition from Ward's is important for us because it validates that we are providing the customer the best EV solution, which is what we set out to do from the beginning," said Pam Fletcher, Voltec propulsion system chief engineer. The Voltec's propulsion system consists of three main components – a long-life battery, a 1.4-liter, range-extending engine and an electric drive unit to deliver power to the wheels. The Volt's long-life battery consists of a 5.5-foot, 435-pound (198.1 kg) T-shaped, 16-kWh lithium-ion battery pack. It supplies energy to an advanced, 111-kW (149-hp) electric drive unit to propel the vehicle. Using only the energy stored in the battery, the Volt delivers 35 miles of gas- and tailpipe emissions-free electric driving, depending on terrain, driving techniques and temperature. What sets the Volt apart from other electric vehicles is its ability to operate after the battery's energy is depleted – a feature that eliminates the range limitations associated with electric-only vehicles. The Volt's 344 miles of extended range comes from the highly refined, 1.4L, 63-kW (84 hp) gasoline-powered engine that provides power to the electric motors. The Volt's electric drive unit is positioned under the hood next to the engine and packages a pair of electric motors and a multi-mode transaxle with continuously variable capability. Inside the drive unit, one or both of the motors drives the vehicle based on performance and speed to optimize efficiency. One of the motors serves a dual function, either to help drive the wheels or to operate as a generator to keep the battery pack at its minimum buffer. The battery is assembled in Brownstown, Mich. The engine is currently produced in Aspern, Austria. Engine production is expected to begin in 2011 in Flint, Mich.